Jarvis Bisong, a hotel manager in Yaoundé, secured a loan from a micro finance institution and started renovating his hotel ahead of the 2019 Africa Cup of Nations (Afcon) football tournament. He said the renovation works to cost $17,000 (Sh1.7 million) were supposed to end by February, 2019. “I knew that during the Afcon from June to July, I will recover the money and pay back the loan, but now that we [Cameroon] will no longer host the tournament, I am just confused,” he said. Many hotel managers are now found in the same type situation like Jarvis, following the announcement Friday by the Confederation of African Football (Caf), withdrawing the hosting rights of the 2019 Afcon tournament from Cameroon. Two major hotels in Yaounde that were due to host some foreign delegations had gone into a loan agreement with the government and were already carrying out extension works for better accommodation. They groan over the news of the withdrawal of the hosting rights expressing worries over the loans they were supposed to pay back after making some brisk business during the month-long soccer competition. The local organizing committee of the competition had selected 21 hotels in the five host cities to accommodate teams and delegations. The group phase of the competition was due to be staged in five cities, namely Yaoundé, Douala, Bafoussam, Garoua and Limbe. 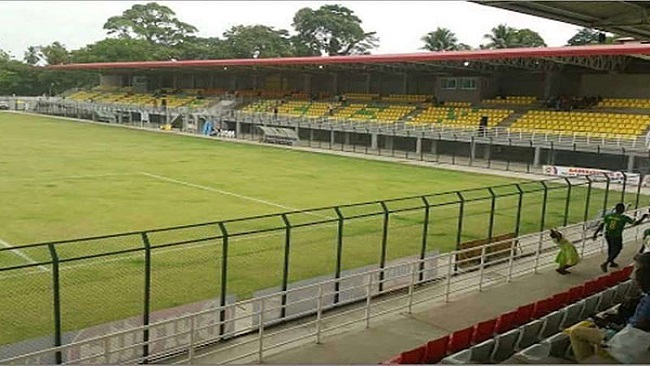 Yaounde and Limbe both hosted the 2016 Women’s Africa Cup of Nations. In the transport sector, proprietors of inter-city bus agencies claim they had made huge investments by importing brand new buses to expand their fleet. the Caf decision, they now weep that they will have to wait for two years to reap what they expected to recover in just a few months. Stories abound of small and medium size enterprises, and catering services which will not go operational near the venues of the tournament due to the postponement. According to senior analyst for Central Africa at International Crisis Group, Hans De Marie Heungoup, more than $1.1 billion (Sh110 billion) of investments had already been done in the country or scheduled in 2019. One thing that was due to witness a hike in sales and consumption during the Afcon 2019 competition was supposed to beer as most Cameroonians cherish boozing which is indeed a way of life in Cameroon during such events. Statistics by SABC, the Cameroon’s largest beer company, show that overall beer sales in Cameroon in 2015 are estimated at about 6,600,000 hl (660 million liters), including imports. These figures were expected to see an increase next year with the organization of the Afcon. The Tourism Industry in Cameroon was already envisaging a boom with thousands of visitors that were expected to come but it will not be the case again. The number of visitors coming to Cameroon dropped since the outbreak of Boko Haram activities in the Northern part and with the recent separatist movement in the English speaking regions of the country. The organization of the Afcon was going to change as thousands of visitors were expected to jet into the country for the football jamboree. The African Cup of Nations is a big tournament which usually gives a boost to the economy of host countries. Cameroon has lost this blessing which could have profited its limping economy.